While families know they’ll pay for college textbooks, the actual expense may be seen as, “OMG, ONE more thing I have to pay for?! ?” When families may already feel limited in savings and income to pay for rising college tuition, planning ahead can help reduce stress. Knowing the average annual textbook expense at potential colleges, especially any variations in costs between majors, the more realistically a family can approach the process to earn and pay for a college degree. 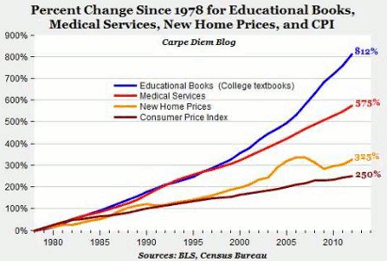 Average annual textbooks cost between $1100 – $1500, based on our research of both private and public college estimates. So, that’s between $4400 – $6000 total, over 4 years to earn a degree. Now, breathe. Where’s $4400 – $6000 more going to come from? Some families ask their students to be responsible for the expense of books. Parents may be surprised at the resourcefulness of a college student on a limited budget In some cases, scholarship applications may not look so foreboding any longer. In addition, asking current college students about how they manage to obtain textbooks can reveal innovative strategies. For public school students, paying for textbooks may be a new concept, so ask as many questions as needed. While a smaller expense within the overall college budget, families that plan ahead will understand the effort needed to earn the total amount for textbooks. By spreading out the effort to earn textbook money throughout the later years of high school and college, then, the shock of a $500 math book may not sting so acutely.